Excellence prize : public acclaim achievement, awarded within the framework of the 24th congress of the Excellence prize winners. 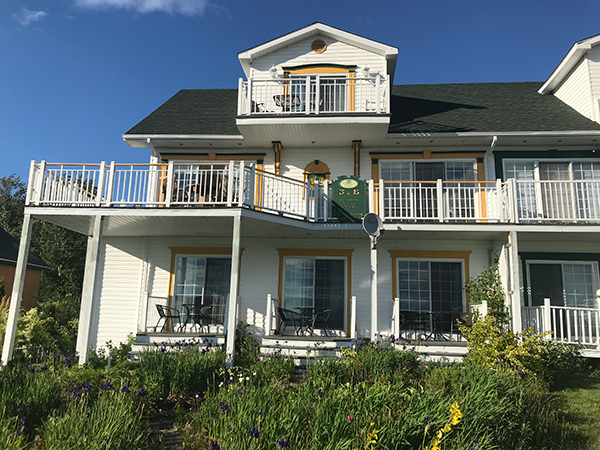 For sure nicest view on Tadoussac by the touristic guide "le Routard"
Yves Ouellet , author of “Tadoussac, la Baie des Splendeurs"
Brood at the top of the village of Tadoussac, la maison HARVEY / LESSARD offers, from every room, a spectacular vue of the lake of l'Anse-à-l'eau, the fjord of Saguenay and the majestic St-Lawrence river. Comfortable beds and high quality bedding.